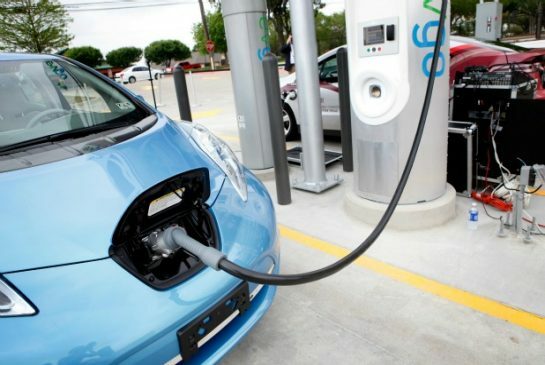 The first 20 buyers at Bside Condos who purchase a parking space equipped with an electric-vehicle charging station will also receive a free Nissan Leaf, courtesy of the Minto Group. Parking at the Bside Condos (located at Front and Bathurst) will cost anywhere from $25,000 to $50,000. The base model 2015 Nissan Leaf is priced at $31,798, and can run 135 kilometres on a single charge. Minto has a history of sustainable development in Toronto. The company built the city’s first LEED-Canada certified condo tower in 2006, and MintoMidtown is North America’s largest condominium to achieve LEED Gold certification. Bside will feature energy efficient plumbing and lighting fixtures, a state of the art heat recovery system and a green roof. Bside is expected to be finished by late 2018 or early 2019.